Sukma is a naxal affected tribal region in Chattisgarh. In this remote, cut off location, girls struggle every month for basic requirements. Access to sanitary napkins is abysmal and most girls have never even seen a sanitary napkin! This forces many girls to miss school during periods and also exposes them to the risk of contracting infections. 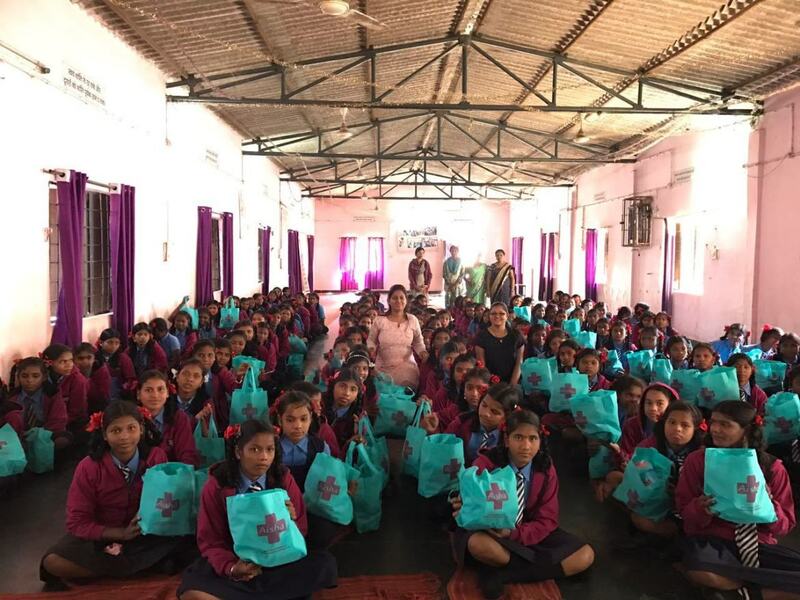 While the situation is grim, but there are NGOs like Shiksharth, who are encouraging girls to attend school and have access to quality education despite all odds. We, at Saral Designs, want to do our bit by providing access to sanitary napkins so that menstruation is not a reason for girls to miss days of school. This week is very special. While we celebrate the joy of giving across the country through Daan Utsav, we also revere the power of Durga. It is the right time to start empowering our little Durgas who are fighting against all odds to attend schools. 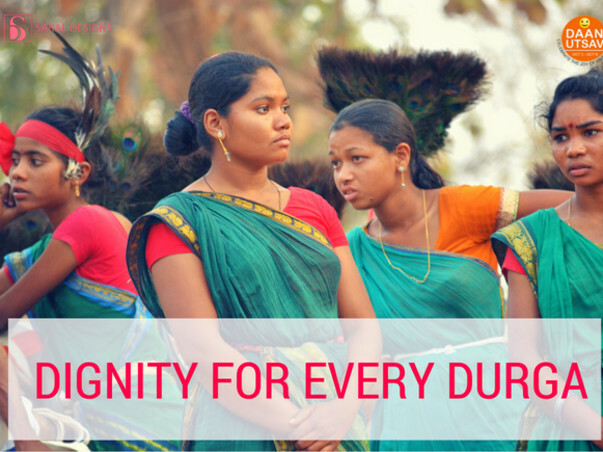 It is the right time to provide them access to dignity and freedom. How do we address this? 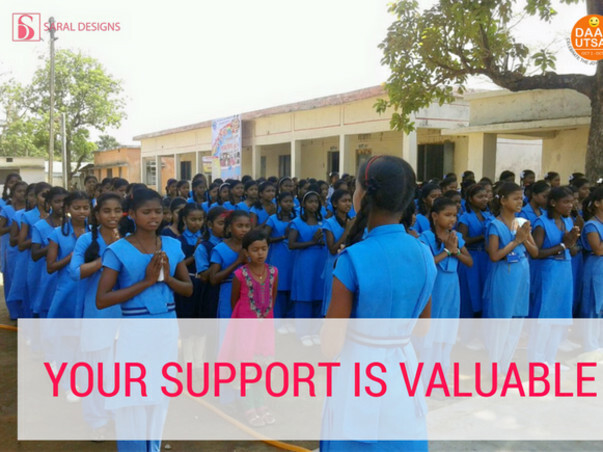 Saral Designs is working with Shiksharth to solve the problem of access of sanitary napkins to 1000 young girls.With your support, 1000 girls will be educated about hygiene practices and will have access to sanitary napkins for one year. To provide yearly supply of sanitary napkins to 1000 girls, we are looking to raise a total of Rs.3,60,000. The cost of 1 pack of Aisha Ultra XL Sanitary Napkins is Rs.30. 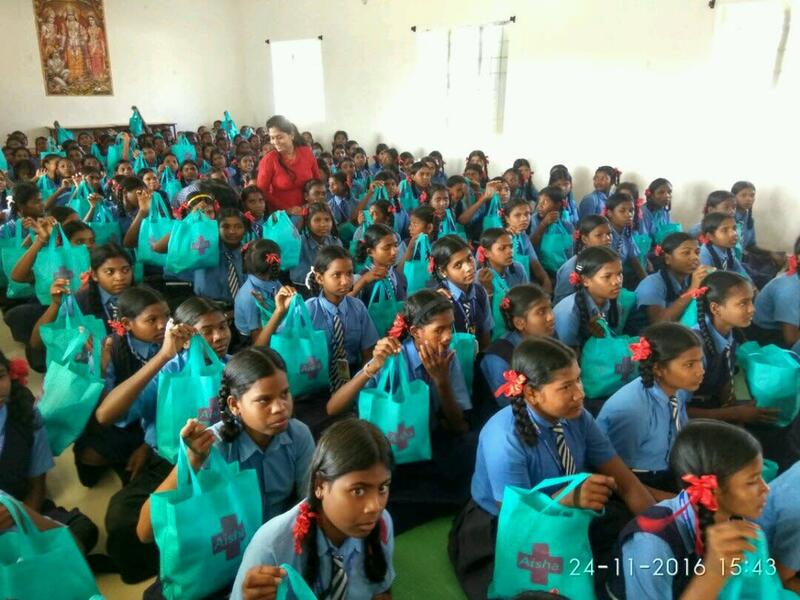 One girl will be provided with a supply of 12 packets for a year. Cost of yearly supply per girl is Rs.360. This will be supplemented with training of teachers and girls on key topics like what is the biology behind menstruation, best hygiene practices and myth busting. Thank you for being an amazing support and helping the girls in the tribal areas of Sukma. We have an extremely positive update to share with you all. 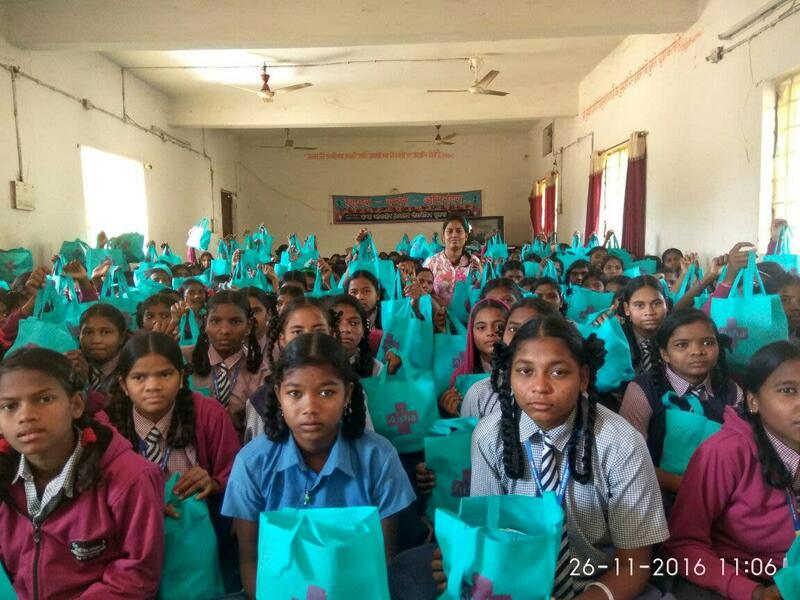 With the help of your contribution, in November 2016, Shiksharth successfully distributed sanitary napkins to 1000 girls in Sukma. 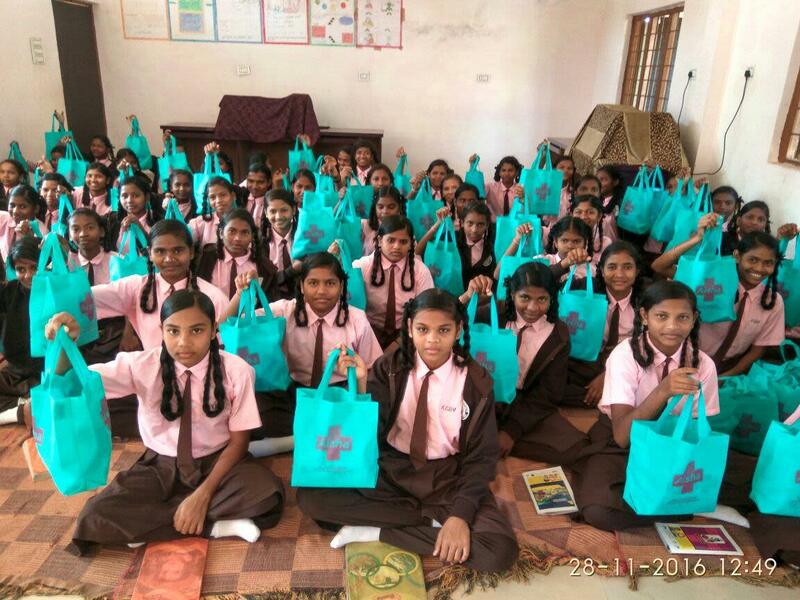 The distribution was carried out in five schools - Pota Cabin Chhindgarh, Pota Cabin Kumharraas, Pota Cabin Murtonda, Kasturba Gandhi Kanya Vidyalaya Sukma and ‘Saakaar' Gyanodaya Kanya Parisar. "We cannot afford the napkins, and now we have got this for the whole year. We are all happy because now we don’t have to skip school during our periods," says Gangotri, a student from Murtonda Pota Cabin. A few teachers stated that at such affordable prices, the quality of the pads is very good. Many young tribal female staff used pads for the first time and could experience how hygiene leads to a healthier life. A more significant change has been observed in the female staff in these residential schools, who were earlier unable to provide the right guidance to the girls. Because of better experiences, they are now able to deliver proper guidance, thereby ensuring healthy results in the future. “We are Shiksharth. We have been working in tribal region for 5 years with core focus on classroom learning. However, we have always been worried about the girl child and the health issues they face. It is painful to see how, due to lack of awareness, accessibility and affordability of menstrual product, many hazardous practices are prevalent in communities and residential schools. Imagining the same girls will be mothers tomorrow makes it look like a vicious circle. Unfortunately, there are no organisations working on menstrual health in this part of the country. With your support, we have tried a small pilot to see how impactful it can be and it has been really encouraging and gave us a confidence to pursue this issue further. We are overwhelmed with the success of the campaign. We wish Saral Designs and Shiksharth success in all their future projects! The response for this campaign has been overwhelming. Some of you have made birthday donations, while some have contributed for the cause of girl education and some for bringing hygiene and equality to these girls. We have raised funds for 500 girls already. But, we are only half way through. We would love if you go ahead and share about the contribution you just made to encourage your friends to participate as well. Thank you for being a believer. The world is surely a better place because of people like you!